Nearly 18 percent of American women will suffer at least one migraine headache every year. These painful headaches are often accompanied by vomiting and nausea or visual symptoms such as flashing lights or dark circles in the field of vision. Migraine headaches are caused by expansion of the blood vessels in the head. This serious headache can be prevented by reducing stress. Stress can actually cause the expansion of blood vessels in the head which results in pain. Migraine headaches are usually treated with a number of chemical-based pain killers, with some causing minor side effects. Headache pain relief is usually attained by using over-the-counter headache pain relief medications that are so easily accessible. However, these products don’t permanently cure headaches and are not without side effects. Over time, any medication can lose its effectiveness if taken too frequently. To avoid unnecessary side effects many people are looking for natural alternatives to headache pain relief medications. One of the most popular, and successful, natural headache remedies is aromatherapy. Aromatherapy is the art of using essential oils. It has been practiced for thousands of years. The liquids are distilled from plant materials to encourage better health as well as a feeling of well-being. Aromatics can be used while performing a soothing massage or by simply inhaling them. In fact, aromatherapy is now a popular and accepted form of alternative treatment for headaches. Essential oils such as Chamomile, Rosemary, Peppermint and Lavender are used to treat symptoms of headaches. There are combinations of these that also work very well, but it must have the exact right amounts or recipe. Essential oils are an inexpensive method of dealing with headache pain. They can be purchased at a local health store. There are a few methods by which the use of essential oils can help cure headache. One way is to put two drops of lavender on each temple and rest. Many people find that after about twenty minutes, their headache is gone. Another method using lavender is to take a facecloth and make it into a compress that is first dipped in hot or cold water that contains at least five drops of lavender. The compress is placed on either the neck or forehead while resting. There are other methods of using aromatherapy for migraine headaches. It can be used as a diffuser. This puts the scent into the air. It can be used for about fifteen to twenty minutes at a time. The other alternative is to use the aromatherapy by inhaling it. However, this is not recommended for someone with a respiratory condition like asthma. The essential oil from ginger is useful in fighting the nausea of migraine headaches. If a migraine sufferer is going to try these natural methods, they have to research carefully on how much they should use. 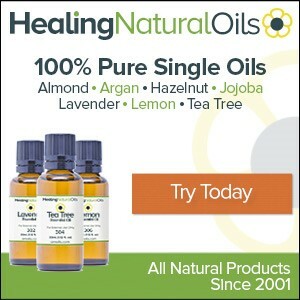 Even something natural like aromatic oil must be used in moderation. Different natural headache remedies work for different people, so one needs to experiment to find out which ones suit the person best. If a person has recurring headaches or their migraine attacks are very painful, it is always best to consult with a doctor. How to Control Panic Attack Symptoms?